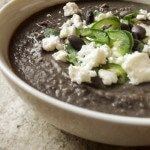 Mexican Black Bean Soup | Mexican Appetizers and More! 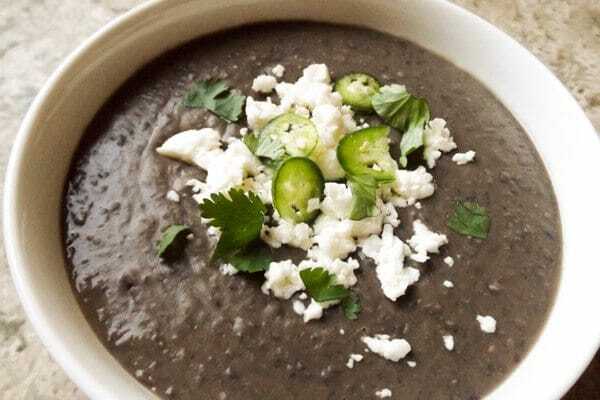 That being said, this Mexican black bean soup is truly delicious. Black bean soup just doesn’t disappoint. With a depth of flavor that forms as the beans cook. All the flavors come together really well in this soup…. The ham hocks, peppers, onion, garlic, bay leaves, cilantro and all the smoky spices, just work really well together. 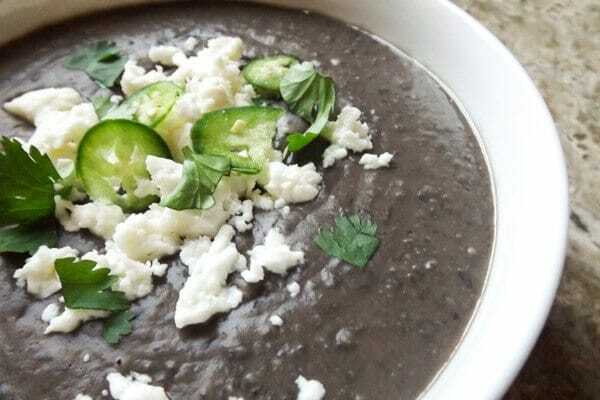 For my version of MEXICAN BLACK BEAN SOUP, I add, crumbled queso fresco, chopped cilantro and very thinly sliced serrano peppers! A little heat is just wicked in this soup! Remember, I enjoy some heat but if you’re not like me, just exclude it, this is totally optional. But if you do, remember just a few very thinly sliced pieces. So let’s get this on! The weather calls for a nice warm comfort soup! NOTE: You can also add some of this wondrous concoction on top of white, yellow rice with dinner as well!! Ohhh, soo yummy!! Empty beans into a bowl. Pick through and discard any debris. Rinse beans and soak overnight with enough water to cover beans. The following day, rinse beans and set aside. In a large pot add about 3 tablespoons of oil over medium heat. Add the vegetables and garlic and saute for a few minutes. Add ham hocks, cumin, oregano, bays leaves, vinegar, chicken stock and finally the beans. Add salt to taste. Beans will be done once they are tender. Once beans are done, remove and discard bay leaves. Remove ham hocks and cut meat from hocks, set aside. In a blender, puree the black beans (will have to do in batches). You may have to add some water to get the beans pureed. Bring bean puree back to pot, add additional water a little at a time until you get the consistency you are looking for. Everyone is different. Some like it thicker, some like it thinner. Add ham hock meat and stir soup. Heat through on low to medium heat for a few minutes. 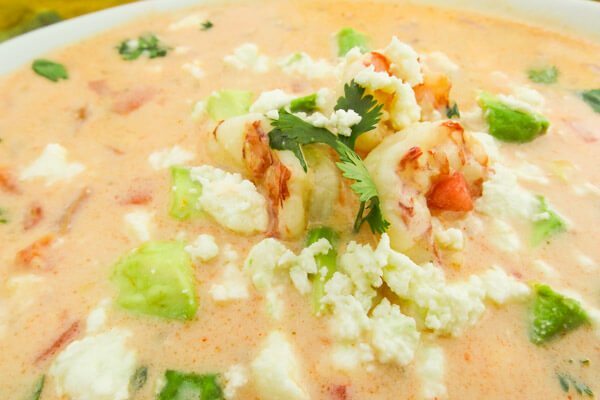 Serve soup with crumbled queso fresco, cilantro and sliced serrano if using. Enjoy! You could also use 3 (15 oz) cans of black beans and skip the first step of soaking beans overnight. Follow steps but only cook for 1 hour and 30 minutes. 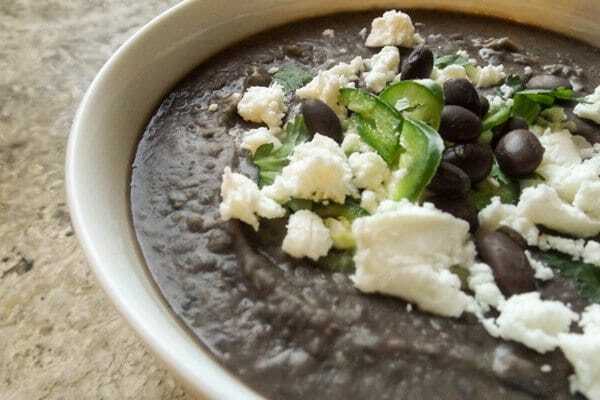 I can’t wait to hear your comments about this amazing MEXICAN BLACK BEAN SOUP. Promise this recipe will not disappoint! 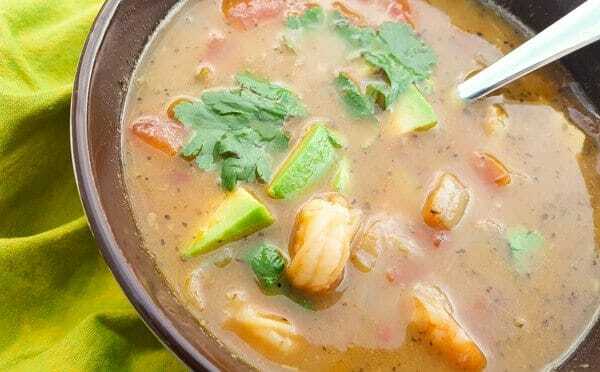 For more delicious Mexican Soups, click here.